Worms are great for the soil, right? They aerate the soil with their tunneling, and digest and move mulch down into the clay soil layer, creating a layer of good topsoil and making nutrients available to plants. That is the common wisdom, and in cultivated soils that’s true. But introduced into forest habitats, they can have serious detrimental impacts. We think of earthworms as an integral part of a healthy natural system, but most of the worms we live with are alien invasive worms from Europe and Asia. All the worms in glaciated states and most of them in the south are imports that have supplanted the less aggressive native species since the last glaciers. There are 69 native Oligochaetes (a class of animals, including most worms) in Eastern North America; most of them are aquatic, while there are 56 exotic species, many of them are terrestrial. 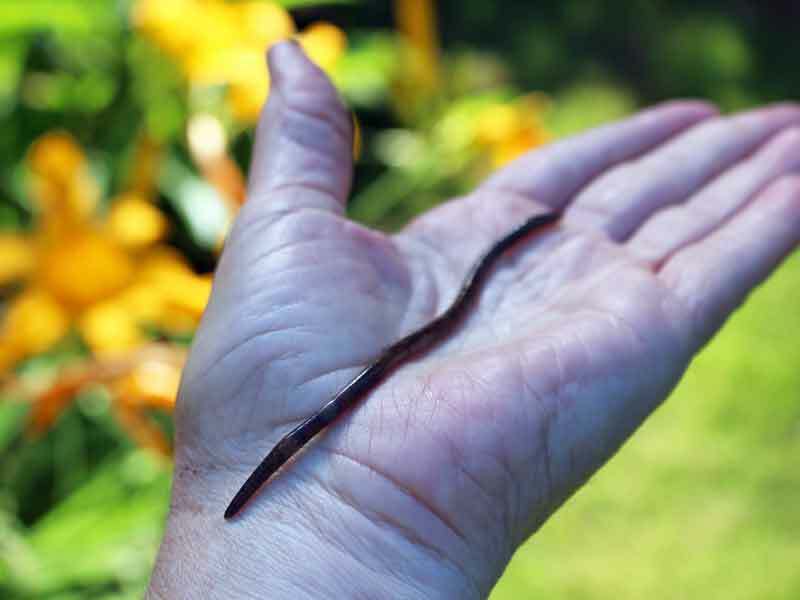 Night crawlers and red earthworms (our two most common species in North Carolina) and red wigglers are not native species. How did they get here? Most of them arrived in the dirt used as ballast in ships coming to our shores. Others were intentionally introduced and then spread, for example, by fishermen who had purchased night crawlers and dumped the extras in the woods when they were finished fishing. Why are these invasives a problem? Exotic earthworms are voracious eaters, particularly certain species of the family Lumbricidae (red earthworms for example). Scientists in Minnesota and Michigan have witnessed their invasion into woodland areas and watched the native local vegetation disappear. Cindy Hale at the University of Minnesota has done extensive research on earthworms. She has a personal story of setting up an earthworm farm as a kid and then witnessing the woods behind her family home become nothing but a thatch of buckthorn, an invasive plant that is able to grow in wormy soil. Worms chew through litter faster than anything else around, removing the thick, spongy carpet of duff or leaf litter that many plants require for insulation. This duff also supports microorganisms that supply nutrients to plants. Because they also eat a lot of the beneficial fungal mycorrhizae that live symbiotically with plants under ground, this affects plants’ ability to take up nutrients. 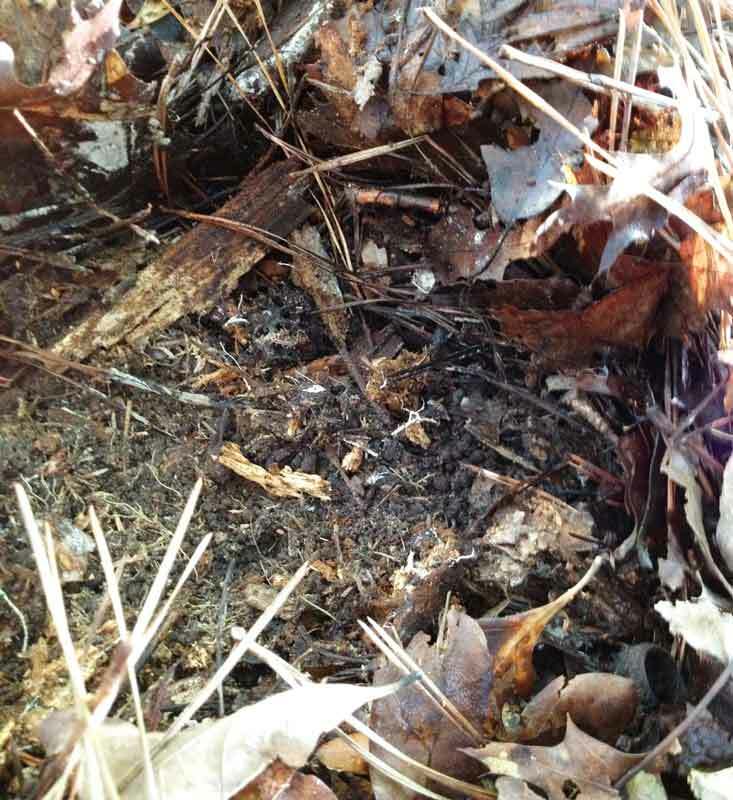 Additionally, although worms do tunnel up and down aerating compacted soil, it has also been found that they contribute to compaction in forest habitats. 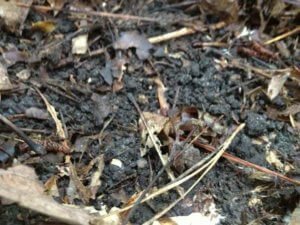 By removing so much organic matter, they are leaving behind structure-less soil and worm castings, which are more easily washed away in rains. They can be pests in lawns, too, when numbers are high. The U.S. Department of Agriculture is now taking the earthworm problem seriously after years of considering earthworms beneficial. Paul Hendrix of the University of Georgia, a leader in the field, figures that removing worms is impractical, but we should work to stop the introduction into native forests. Should we get rid of them in our home gardens? Good question. You may not want to go the pesticide route, but there are a few natural choices. Who likes to eat earthworms? Planaria are a different type of worm that loves to dine on earthworms, particularly Lumbricids. Moles can be very successful in reducing earthworm populations. Some parasites also feed on earthworms. We think of worms being bird food, but worms can be very elusive, going quickly backwards in their tunnels. Only early in the morning, particularly when it has been wet, when worms are at or near the soil surface are they accessible to many predators. Other predators include some turtles, toads, frogs, skinks, snakes, robins, gulls, red-tailed hawks, (young) owls, starlings, fox, some beetles, snails and slugs. My sister says that her chickens will not eat worms, and the goldfish in my pond don’t like them either, perhaps because of their slimy coating. So while earthworms can actively aerate our home gardens, it is important to know about the impact of non-native species on the larger ecosystem. The earthworm reputation is not as stellar as we have come to believe. Louise Romanow, PhD Entomology, is a Wake County Master Gardener.